Spy Gear Video Walkie Talkies - You Need To Get a Pair Today! 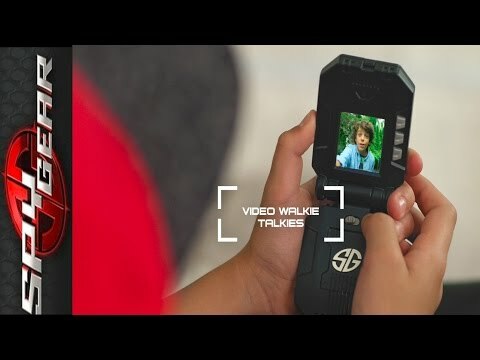 As if Walkie Talkies weren’t cool enough, Spy Gear decided to step it up a notch with the Spy Gear Video Walkie Talkies, the video-enabled version. Now, your kids can stay in constant two-way communication, but visual as well as audio. Not only that, these bad boys are equipped with enough “juice” that kids can communicate up to 160 feet! (Data or Wi-fi not required). All you have to do is press the activate button and away you go. Another neat feature with these new Spy Gear Video Walkie Talkies is that they come with “stealth” mode. All you need to do is plug in some headphones and then you can creep around silently without getting caught! Need to protect your valuables? Use these guys as a hidden camera. Just place one of them at the appropriate “hidden” location and then press the activate button on the other handheld. Voila, you have an instant live surveillance camera! That’s ok, we have other neat tech toys to choose from.